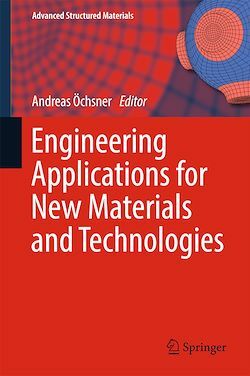 This book discusses the expertise, skills, and techniques needed for the development of new materials and technologies. It focuses on finite element and finite volume methods that are used for engineering simulations, and present many state-of-the-art applications and advances to highlight these methods’ importance. For example, modern joining technologies can be used to fabricate new compound or composite materials, even those formed from dissimilar component materials. These composite materials are often exposed to harsh environments, must deliver specific characteristics, and are primarily used in automotive and marine technologies, i.e., ships, amphibious vehicles, docks, offshore structures, and even robots. To achieve the desired material performance, computer-based engineering tools are widely used for simulation, data evaluation, and design processes.